Apple manufacturers Foxconn, Pegatron, Wistron, and Compal, whose complaints have been merged with Apple’s, allege that they have collectively overpaid Qualcomm approximately $9 billion in royalties, a figure that could be tripled under antitrust laws to $27 billion, according to The New York Times. Apple is the world’s most profitable seller of cellular devices. But as a late-comer to the cellular industry, Apple contributed virtually nothing to the development of core cellular technology. Instead, Apple’s products rely heavily on the cellular inventions of Qualcomm and others. Apple’s iPhones and other products enjoy enormous commercial success, but without lightning-fast cellular connectivity—enabled in large part by Qualcomm’s inventions—Apple’s iPhones would lose much of their consumer appeal. “The evidence is overwhelming that Qualcomm engaged in exclusionary conduct, and the effects of Qualcomm’s conduct, when considered together, are anticompetitive,” said FTC lawyer Jennifer Milici, during closing arguments in the FTC vs. Qualcomm trial in January, according to The Wall Street Journal. 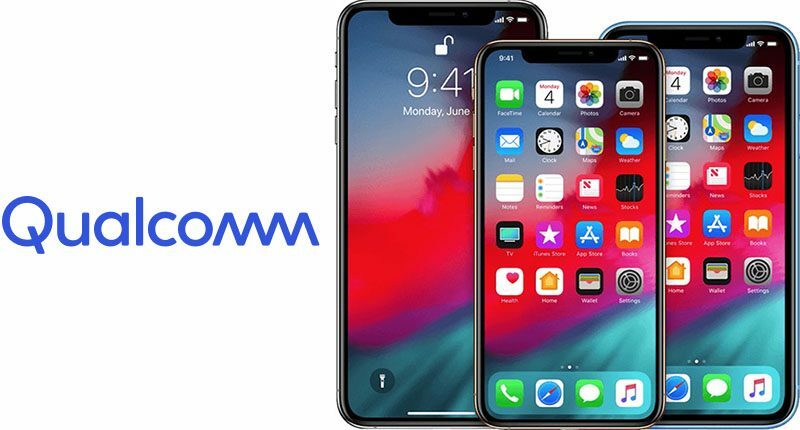 Amidst the legal battle, Apple dropped Qualcomm as a supplier of cellular modems starting with last year’s iPhone XS, iPhone XS Max, and iPhone XR, with rival chipmaker Intel fulfilling all orders for those devices. Apple Inc. (AAPL) Stake Lowered by Hendley & Co. Inc.